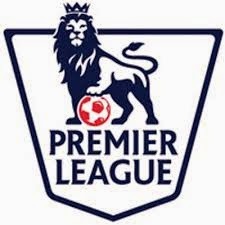 Any Fantasy Premier League players out there? If so, this will be good to read. If not, you can read anyway. If you want to. I mean, I won’t force you to. You’re still here? Good. Then get Diego Costa. He’ll fit into your team like a beard in ZZ Top. Every owner’s crazy ‘bout a goal-scoring man. Obvious: Branislav Ivanovic (Chelsea), £7.3. The Serbian had doubts of starting with the arrival of Felipe Luis, but manager Jose Mourinho has kept faith in the right-back, and it’s paid off. He’s the top-scoring defender in the league (44, #2 is at 36) and he’s a consistent fantasy player, getting 143 points two years ago and 159 points last year. Bargain: Ryan Bertrand (Southampton), £5.3. While the former Chelsea player couldn’t get much playing time at his old club (except under Rafa Benitez, who played everyone–except John Terry) he’s been doing great with the Saints, who were tipped by many analysts (hi!) as relegation favorites after selling off many of their top players, but they’re currently 3rd, trailing only Chelsea and Manchester City. While FIFA sometimes pronounces his name in a French accent (kind of like “bear-tron”), Bertrand has 36 points (2nd) is a good player to get (his teammate Nathanial Clyne also has 36 points, but costs £0.2 more). And they’re upcoming schedule? Sunderland, Stoke, and Hull. Not too hard at all. Obvious: Angel Di Maria (Manchester United), £10.1. I could fit a lot of guys in this slot: Fábregas, Sigurdsson, Eden Hazard, or even Raheem Sterling, for example, but I like Di Maria, and my “obvious” slot doesn’t take price into consideration. I’ve always rated him as a player (Real Madrid were silly to get rid of him, and he was the only guy on Argentina who consistently looked like an actual soccer player outside of Messi this World Cup) and he’s doing well for new manager Louis Van Gaal. He’s #2 on overall points, and he’s played 2 less games than almost everyone else due to his late arrival from Spain. This isn’t as much of a must-buy as Costa, and his price may make it tricky, but with 3 goals and 3 assists in 5 games, he’s a player worth looking at. Bargain: Stewart Downing (West Ham United), £5.6. While he used to be an internet joke, he’s became a quality player in his second year under Big Sam Allardyce. Best player under £6.0 in points, 3 goals in his last 4 games, and while they play Manchester City in two weeks, that’s sandwiched by comparatively easy trips to Burnley and Stoke. There are other good options around his price range, but Downing is the best. By the way, here is another image macro that Downing played a supporting role in. Yeah, it references a retired referee and a manager who’s now in Turkey. Proof that the Downing jokes are irrelevant. Get him on your team, unless you want to be the joke. Super-Bargain: Mile Jedinak (Crystal Palace), £5.0. Can I say that I’ve had the Australian on my team this whole year? Yes, yes I can. Nobody under or at £5.0 has as many points as he, and only 3.2% of owners have him? That’s silly. Perhaps it’s because Palace seemed like a dumpster-fire-in-waiting when Tony Pulis left by “mutual consent,” but, well, they indeed have been fairly bad, although good enough for Jedinak to put up cost-effective fantasy numbers. Also, he’s a lock to play almost 90 minutes every game, so I’m not sure why you wouldn’t add him as a rotational option in your midfield. Obvious: YOU MUST GET DIEGO COSTA ON YOUR TEAM!!!!!! Bargain: Saido Berahino (West Brom), £5.6. I could’ve mentioned Leicester City’s Leonardo Ulloa, who is tied with Berahino and Man City’s Sergio Aguero on goals, and one ahead of Berahino on points, but the Baggies forward has done better in the last two games, and is £0.4 cheaper. 5 goals in 7 games, including 3 in the last 2, for half the price of Costa? You may be reasonably put off by the fact that few people have any idea who he is, but he’s at least worth some consideration. Super-Bargain: Steven Naismith (Everton), £5.2. The Scottish forward has 4 goals in 7 games, and more points than anyone cheaper than him. While this is the most expensive “Super-Bargain” I’ve given so far, there really aren’t too many forwards who are getting semi-consistent points for anything less. 1. Choose good players. Like, duh. 2. Don’t chase last week’s points. Just because a player scored a hat-trick last week, doesn’t mean they will do good this week, too. Look at the big picture: playing time, production over the season, last year’s production, upcoming schedule (this one is more important in fantasy EPL than fantasy MLS, by the way), et cetera. Simply going for the best last week, or even the best overall in the season to date, isn’t always the best strategy. Goodnight, everyone. Follow me @DH3soccer, and/or on my blog, for a look at Major League Soccer, as we enter the nitty-gritty of the season.